Book Direct & Save! Welcome to The Hotel Rose Garden San Jose website where you will find the lowest rates and latest availability. Book direct and save at least 10% from third party booking sites. We have just updates all of our mattresses to provide you a restful nights sleep. The Hotel Rose Garden is San Jose's newest independent hotel. We have recently converted from Super 8 San Jose and are embarking on a project to develop one of San Jose's premier boutique style motels. 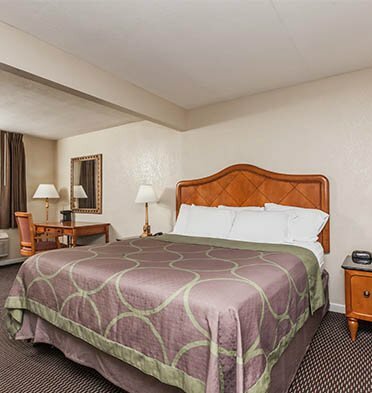 The Hotel Rose Garden is located just 1 mile from San Jose's Mineta International Airport. 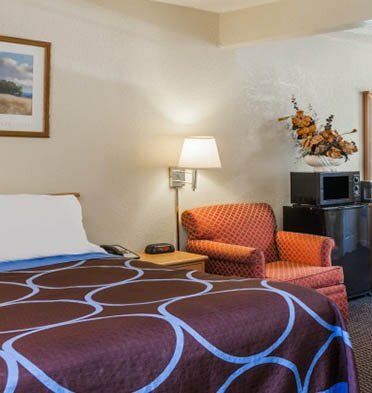 Located on The Alameda off of Interstate I-880, The Hotel Rose Garden is located in The Heart of Silicon Valley offering a perfect place to stay for visitors to San Jose or business travelers looking for corporate housing in Silicon Valley and The South Bay. The Hotel Rose Garden is a 55-unit, exterior corridor hotel with spacious air-conditioned smoking and non-smoking rooms. Our exterior corridor rooms surround a lush rose garden with hundreds of rose bushes and pool area so you can enjoy a break after your Bay Area activities. The Hotel Rose Garden has a collection of rooms from Queen size standard bedrooms to suites with King size beds. 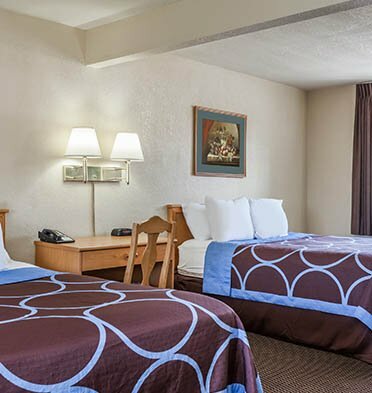 Our hotel also features family sized rooms with two queen size beds. All of our guestrooms are ADA Defined service-animal friendly. This San Jose hotel's guests can enjoy a daily complimentary breakfast. The hotel also features an on-site restaurant and cocktail lounge called Mango’s Mexican Restaurant, which is open 10 AM to 9 PM daily. Our hotel is located in The Heart of Silicon Valley in San Jose, CA with easy access to major interstates 280, 880, and 680 and Highway 101. Located just 1 mile from San Jose International Airport, The Rose Garden Hotel is a perfect airport hotel for travelers looking to rest before or after their long flights. We are located less than 2 miles from Downtown San Jose, The Convention Center, SAP Center, and Santa Clara University. The brand new Avaya Soccer Stadium is close to Hotel Rose Garden, and Levi’s Stadium is a short drive making our hotel an ideal place to stay if you are attending any major sporting event or concert in The South Bay. The Egyptian Museum, Santana Row, and Winchester Mystery House are also nearby. Shopping and Dining are abundant around the Rose Garden Hotel. The Rose Garden Hotel is nearby many major corporate headquarters making it a great option for corporate travelers working in The Silicon Valley. We look forward to hosting you at Hotel Rose Garden San Jose. The Silicon Valley is a vibrant string of South Bay communities that each have unique character and charming downtowns from Menlo Park to Campbell and anchored by the city of San Jose that offers year-round sunshine and a vibrant community and corporate environment that is unparalleled. Technology companies, museums, schools, dining, and shopping all await. San Jose, California believe it or not, is actually the largest city in The Bay Area. While San Francisco gets all of the glory, San Jose is a major technology hub in The Bay Area. The year-round sunshine and intellectual capital make San Jose a business traveler hub and also a neat place for tourists to visit. Enjoy a San Jose Sharks NHL Hockey Game, The Tech Museum, or a concert at SAP Center after enjoying dinner and drinks in Downtown San Jose. The Queen Bedroom at Hotel Rose Garden San Jose is our standard and most affordable room. A clean and comfortable air-conditioned non-smoking room with a plush Queen size bed, this room offers a great option for couples of Silicon Valley business travelers. The 2 Queen Bedroom is a perfect room for families or groups visiting San Jose. This air-conditioned non-smoking room provides two plush queen sized beds that can accommodate up to 4 adults comfortably. Enjoy complimentary continental breakfast after a restful night. Our King Bedroom at the Hotel Rose Garden has a large king size bed with plush bedding offering a perfect place to stay for couples visiting San Jose. This comfortable air-conditioned non-smoking room offers free WiFi, a flatscreen TV with HBO and free continental breakfast.